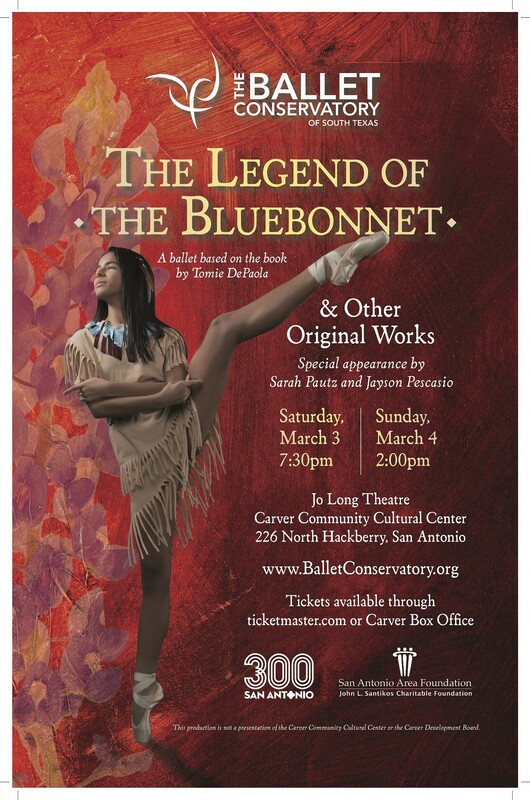 The Ballet Conservatory of South Texas presents 'The Legend of the Bluebonnet', a ballet based on the book by Tomie DePaola, in celebration of San Antonio's Tricentennial. BCSTX be performing this magical ballet, retelling the Comanche Indian legend of how a little girl's sacrifice to Mother Earth brought the bluebonnet flower to Texas. This performance will also include a second act of original works by renown choreographers, and special appearances by Sarah Pautz and Jayson Pescasio.